Historian and Graduate in Political Science at the University of Buenos Aires and the National University of General San Martín (UNSAM). Professor of Introduction to the Human Rights and Constitutional Law in the Basic Common Cycle of the University of Buenos Aires. Professor of History of the Law in the University of Managerial and Social Sciences, Buenos Aires. Adviser to the Subsecretary of Government of the City of Buenos Aires. Sociologist and Independent Researcher of the National Council of Scientific and Technical Research (CONICET-Argentina). Professor and Researcher in the Institute for Higher Social Studies, National University of General San Martín (IDAES-UNSAM) and in the Faculty of Social Sciences, University of Buenos Aires. Author of numerous publications on government, bureaucracies and elites, memory and human rights, military dictatorships and security policies. Lawyer, Professor and Policy Analyst specializing in governance and rule of law. Senior Adviser at the Undersecretariat of Political Reform of the Buenos Aires City Government. Visiting Professor of constitutional law at Universidad di Tella, Argentina. Lecturer in international affairs and coordinator of the Parliamentary Diplomacy program at Universidad Austral, Argentina. Professor of Political Science, Public Policies and Security Issues at the University of National Defense, Buenos Aires and at the University of Buenos Aires, Buenos Aires. Scholar in the fields of civil society organizations, urban social movements, contentious politics, and democratic theory. Director of the School of Politics at the University of El Salvador, Buenos Aires. Professor of Political Science, School of Humanities, The National University of General San Martín (UNSAM), Buenos Aires. Director of Institutional Development at National Association of Argentine Political Scientists. Historian and Professor of Political Science at the University of Buenos Aires and at the University of El Salvador, Buenos Aires. Researcher at the Institute for Research on Latin America and the Caribbean at the Faculty of Social Sciences, University of Buenos Aires. Visiting Professor at the Chulalongkorn University, Bangkok and at the University of Malaya, Kuala Lumpur. Historian, Publicist and Government Official. First Director of the Security Services Archive (2007) and the Institute for the Study of Totalitarian Regimes (2008-2010). Member of the Learned Committee, Estonian Institute of Historical Memory, and Scientific Board of the Romanian Consiliul Naţional pentru Studierea Arhivelor Securităţii (since 2009). Political Scientist, Vice-President and Lecturer at the private university, the CEVRO Institute, Prague. 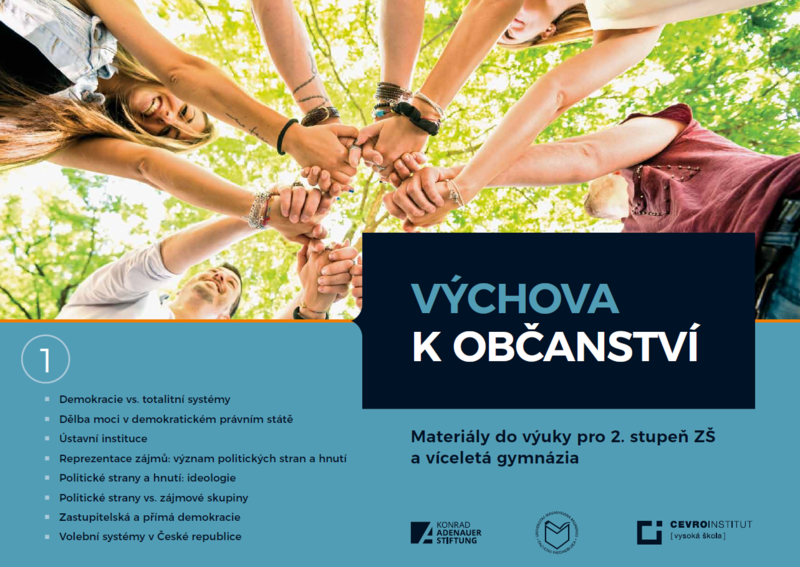 His main research interest is comparative politics with a focus on the Czech political system, European political parties, electoral and party systems, local and regional politics, and political marketing. Member of the Section for Research on the Resistance Movement against the Communist Regime of the Ministry of Defence in the Czech Republic (since 2014). Head of the Section for Research on the Resistance Movement against the Communist Regime of the Institute for the Study of Totalitarian Regimes (2012-2013). Political Researcher focusing on public policy studies and democratic transitions in the Arab world. Author of many expert articles concerning the political and social developments in Egypt. Historian, Head of Research at the Estonian Institute of Historical Memory (since 2017) and Deputy Director of the Estonian War Museum – General Laidoner Museum (since 2005). Member of the Board of the Estonian Foundation for the Investigation of Crimes Against Humanity (1998 – 2009) and of the Estonian Institute of Historical Memory (2008-2017). Senior Researcher at the Estonian Institute of Historical Memory (since 2014). Research Fellow at the Estonian Foundation for the Investigation of Crimes against Humanity (2006 – 2009). Member of the Board of the Estonian Institute of Historical Memory (since 2009) and Managing Director of S-KESKUS, the non-governmental center for contemporary history (since 2005). Member of the Board of the Estonian Foundation for the Investigation of Crimes Against Humanity (1999 – 2009). Historian and Programs Director and Co-founder of the Institute for Development of Freedom of Information (IDFI), Tbilisi. Researcher of Soviet Studies and author of several research papers on Soviet history. Historian and Co-Founder, Member of the Board, and Researcher of the Soviet Past Research Laboratory (SovLab), Tbilisi. Visiting Lecturer at the School of Humanities and Social Sciences, Caucasus University, Tbilisi. Historian, Researcher and Member of the Board of the Soviet Past Research Laboratory (SovLab), Tbilisi. Author of a number of publications on Soviet totalitarian past in Georgia. Historian, Founding Member, and Executive Director of the Institute for Development of Freedom of Information (IDFI), Tbilisi. Professional Archive Researcher working in the history archives of Georgia and abroad. Professor of Politics, and Director of the International School of Caucasus Studies in Ilia State University, Tbilisi. Founder and Chairman of the Caucasus Institute for Peace, Democracy and Development (CIPDD), an independent public policy think tank in Tbilisi. Former Minister for Education and Science of Georgia (2008). Historian, Archives and Soviet Studies Direction Head at the Institute for Development of Freedom of Information (IDFI), Tbilisi. Lecturer at the Caucasus University, Tbilisi. Former Director of the Central Historical Archive at the National Archives of Georgia (2012-2017). Pechet Men has worked with the Documentation Center of Cambodia (DC-Cam), Phnom Penh, for almost a decade from a Volunteer to Field Investigator and has published extensively on Khmer Rouge survivors' accounts and articles, locally and internationally. Assistant Professor of Political Science at the Brooklyn College of The City University of New York, USA. Researcher for the Cambodian Genocide Program at Yale University and the Documentation Center of Cambodia (1995-2000). His main teaching and research interests are international relations, genocide, human rights and transitional justice. Senior Scholar with the Woodrow Wilson International Center’s Cold War International History Project (CWIHP), Professorial Lecturer at George Washington University; both in Washington D.C. Visiting Professor at the Pannasastra University in Phnom Penh, Cambodia. Teaches annual seminars on Cambodian history at Meta House German-Cambodian Cultural Center in Phnom Penh. PhD candidate in Peace and Development Research at the School of Global Studies, University of Gothenburg, Sweden. She joined the Documentation Center of Cambodia (DC-Cam) in 2004 and since then she progressed from working as a Field Investigator to a Director of Museum of Memory (2013) and a Team Leader of the Transitional Justice Program (2016-2017). She is the author of the monograph Everyday Experience of Genocide Survivors in Landscapes of Violence in Cambodia (DC-Cam, 2016). Director of the Federal Foundation for the Study of the Communist Dictatorship in the former German Democratic Republic (GDR) (since 2002). Former Chief Prosecutor in Berlin responsible for investigating the crimes of the former GDR regime (1994 – 1999). Former Executive Director of the Office of the Federal Commissioner for the Records of the State Security Service of the former German Democratic Republic (BStU) (2001 – 2014). Lawyer, Head of the Department of the Use of Stasi-Documents at the Federal Commissioner for the Records of the State Security Service of the former German Democratic Republic (BStU) (since 2003). Main Specialist in the Digital Resources’ Branch of the Archive of the Institute of National Remembrance in Warsaw (since 2006). Lecturer at the Academy of Warfare in Warsaw. Lustration Expert, Director of Human Resources Department at the Ministry of National Defence in Poland (since 2016). Deputy Director of the Vetting Office at the Institute of National Remembrance in Warsaw (2010-2016). Senior Fellow at the Research Center for the Humanities, Hungarian Academy of Sciences (Hungary). His main research fields are the communist nationality policy in Eastern Europe and the social impact of state security on the Soviet Bloc countries. He has been a Consultant Member of the Vladimir Tismăneanu-led Presidential Commission for the Analysis of the Communist Dictatorship in Romania (2006). Research Fellow at the Historical Archives of Hungarian State Security (since 2011). His field of research covers the activities of Romanian-Hungarian Secret Service against churches in the second part of the 20th century and the history of Romanian Secret Services in the 20th century. Senior Researcher at the Institute for the Investigation of Communist Crimes and the Memory of Romanian Exile (IICCMER) (since 2010) and Associate Researcher at the Romanian Institute for Recent History (IRIR) (since 2012). Senior Researcher (since 2007) and Executive Director (2012-2013) of the Institute for the Investigation of Communist Crimes and the Memory of Romanian Exile (IICCMER). Visiting Fellow at the Centre for Historical Research in Western France (CERHIO) at the University of Angers, France (since 2017). Senior Research Fellow at the Analytical Levada Centre in Moscow. Visiting Fellow at the Federal Foundation for the Study of the Communist Dictatorship in the former German Democratic Republic (2012 – 2013), at the Imre Kertész Kolleg of the Friedrich Schiller University Jena (2016) and at the Centre for Contemporary History Potsdam (2017). Transitional Justice Researcher, Lawyer and Social Activist focusing on election monitoring and defense of voting rights in election commissions and courts in Russia. Co-creator of the “Churov list” (black list of election commissions’ members allegedly involved in election fraud in the course of State Duma elections of 2011). Project Coordinator at International Memorial in Moscow coordinating projects on access to archived information (since 2013). Project Coordinator and Editor of urokiistorii.ru Website at International Memorial in Moscow (since 2009). Her main research interests are modern monuments, historical politics and elaboration of the difficult past of Russian and European societies. Pokud máte nějaké dotazy, komentáře, nebo byste rádi konzultovali naše expery, napište prosím projektové manažerce Guide Natálii Maráková.